Insiders Guide to Canggu: The best things to see and do in Canggu. Best-known for surfing, yoga and chilled-out vibes, Canggu is the perfect place to relax. Who should go to Canggu? When should you go to Canggu? The laid-back coastal town of Canggu is one of Bali’s most up-and-coming areas and is a hotspot for surfers and yogis. Although the town is becoming more popular (i.e busier) each year, this is still the place enjoy chilled-out vibes and lazy days at the beach. Visit Canggu for laid-back vibes at the beachside. Known for epic surf, soothing yoga and a peaceful atmosphere, Canggu is the best place in Bali to relax and maximize your wellness. Although not much of a party town when compared with nearby Seminyak, Canggu also has a handful of uniquely hip evening hangouts (to help you re-tox after all that yoga and salad). By day, head for the miles of dark volcanic sand that make up the town’s beachfront and sip Bintang as you watch the surfers hone their skills. Wish you could stay forever? Check out Canggu’s thriving digital nomad scene to learn more about remote work and how to make a living online. Canggu’s laid-back atmosphere, strong health food scene and small-but-thriving collection of bars make it a crowd pleaser among most travellers. 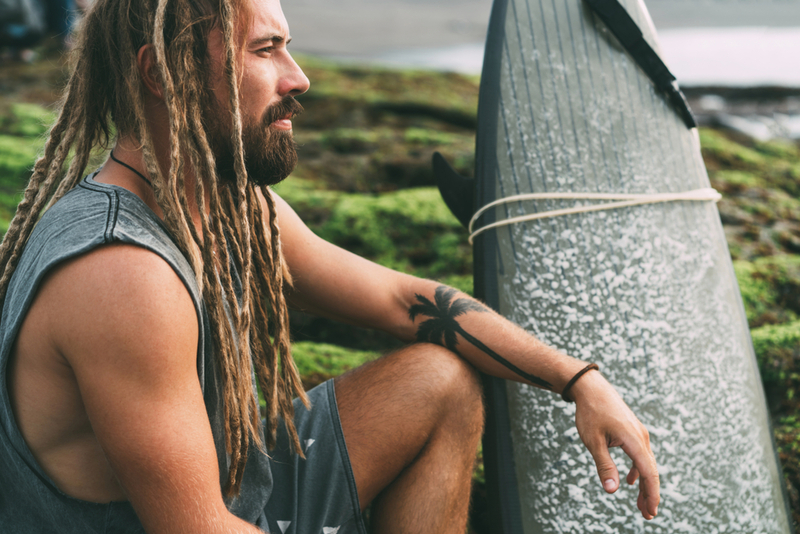 Partygoers have somewhere to drink, surfers and yogis have opportunities to practice, and everyone gets the benefit of that beautiful beachfront. So, who should go to Canggu? The driest months in Canggu are April, June, July, August and September when you have the best chance of seeing clear, blue skies. 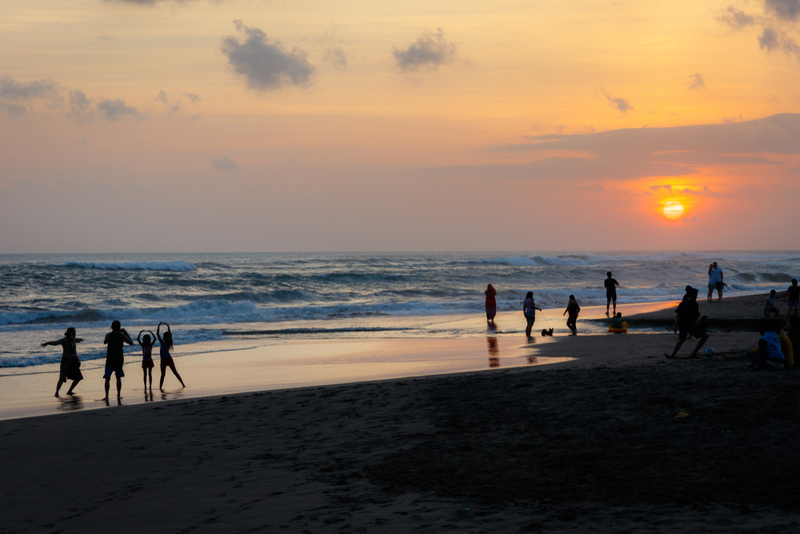 The temperature in Canggu hovers between 29 – 31 C (84 – 88 F), but the coolest months are July and August. 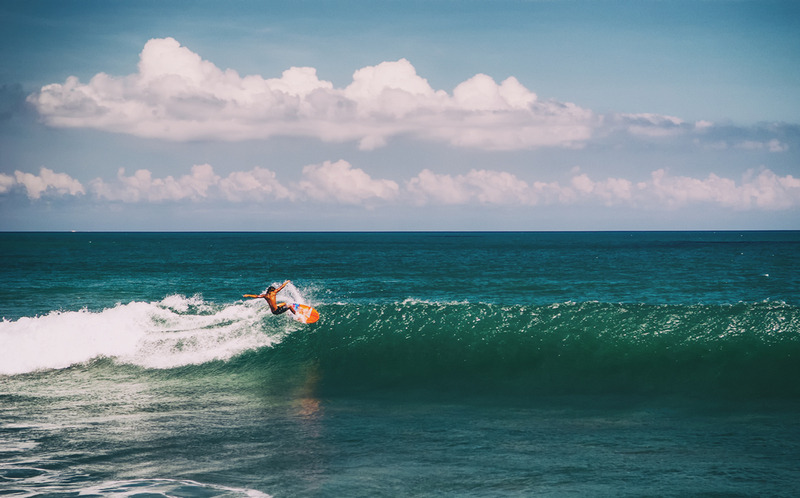 The surf around Bali’s west coast is consistently strong throughout the year, but the peak surf season runs from May to September. This is the dry season in Bali and is when surf conditions are optimal. However, popular surf spots can become crowded at this time of year, as dozens of surfers compete for the best waves. To beat the crowds while still catching the occasional big swell, head to Canggu in October or November. Canggu has a strong ocean swell throughout the year. The quietest months in Canggu are December, January and February when the town sees most of its rainfall. You can still expect plenty of sunny days if you visit at this time of year, but for a better chance of blue skies, visit in April, May or June. This is still outside of high season (July and August), so you can expect smaller crowds and lower prices. This brand-new and action-packed event will make its debut in Canggu this year and promises to be an adrenaline-fuelled festival of superhuman strength. Running over four days in August, Ironman Bali will bring together world-class athletes from around the globe for the ultimate showdown on Berawa beach. Watch the athletic elite go head to head from the comfort of Finn’s beach club with a cocktail or Bintang in hand. Entry is completely free, so you’ve no reason not to check it out if you’re in town. Make sure you book a booth to guarantee seats though, as the event promises to be popular! This four day festival of high-octane fun is a celebration of all things awesome, hosted by the badass Deus Ex Machina. As designers, crafters and dealers of surfboards, art and vintage motorbikes, Slidetober Fest showcases exactly what Deus is all about. The fun kicks off with the Deus Swank Rally and continues over a long weekend of surf, motorcycles, film, music and arts. Most events are held at the beach and the motorcycles rallies are a highlight of the festival! In the evening, head to the Temple of Enthusiasm for live music and cool vibes in Deus’s huge, open-air venue. ‘The temple on the rock’ is Bali’s most visited and heavily Instagrammed temple and is easily reachable by car or motorbike from Canggu. You can walk right up to the temple at low tide, but non-Balinese people are forbidden from entering. This won’t stop you from snapping some impressive pics at sunset, though. 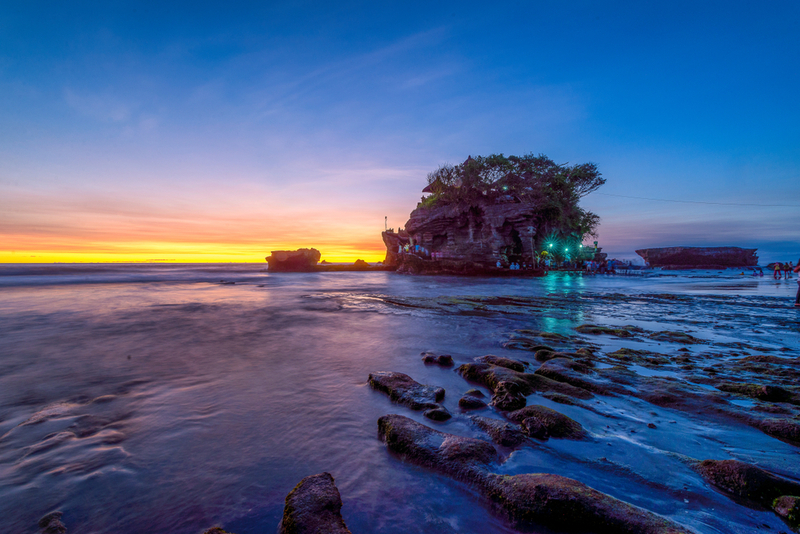 Visit Tanah Lot at sunset for the perfect Insta-shot. Echo Beach is one of Bali’s most popular surf spots and a great place for intermediate surfers to hone their skills. This black sand beach is also perfect for long, lazy days spent sipping Bintang from a bean bag chair. With dozens of beachside bars and cafes to choose from, surfers and non-surfers alike will find it easy to get stuck here. For cool evening hangouts in Canggu, look no further than Pretty Poison. The skate bowl out the back of this bar is the main reason to visit, where you can watch locals and travellers showing off their skills late into the night. The bar always has great vibes and a chilled out atmosphere, perfect for pre-drinking and making new friends. Although Canggu is best-known for surfing, the town also has a strong yoga scene. With many beautiful studios to choose from, yoga classes are high on the agenda for many visitors to Canggu. The Practice is one such studio; a spectacular bamboo shala surrounding by lush rice fields. Take a rejuvenating drop in class and feel the stress melting away under the expert care of their skilled instructors. Restorative, Hatha and Yin yoga are among the classes offered here, or you can check out The Practice’s teacher training programs. 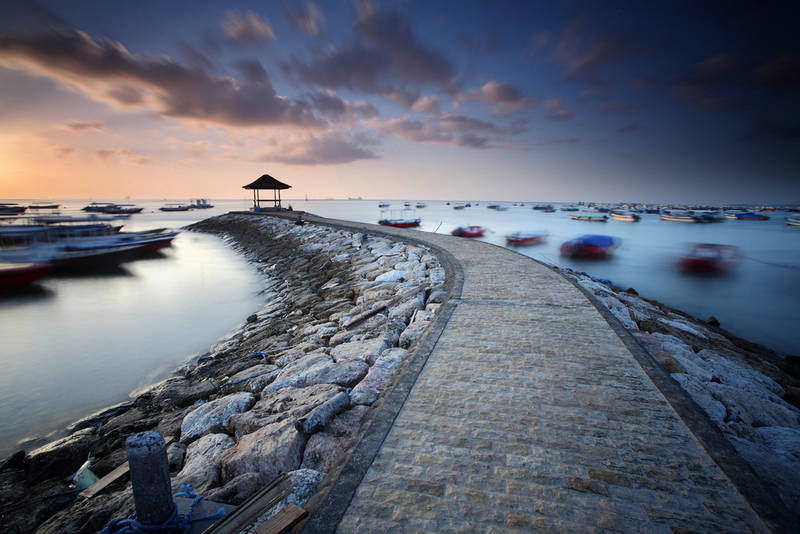 Bali may seem like heaven on earth, but what if you could stay forever? There is a community of people doing just that in Canggu; taking advantage of their location-independent jobs to live the life of their dreams. These remote workers, or ‘digital nomads,’ have a strong presence in Canggu and the town has several facilities catering to this group. Interested? Check out The Dojo or Outpost coworking spaces to see what it’s all about! 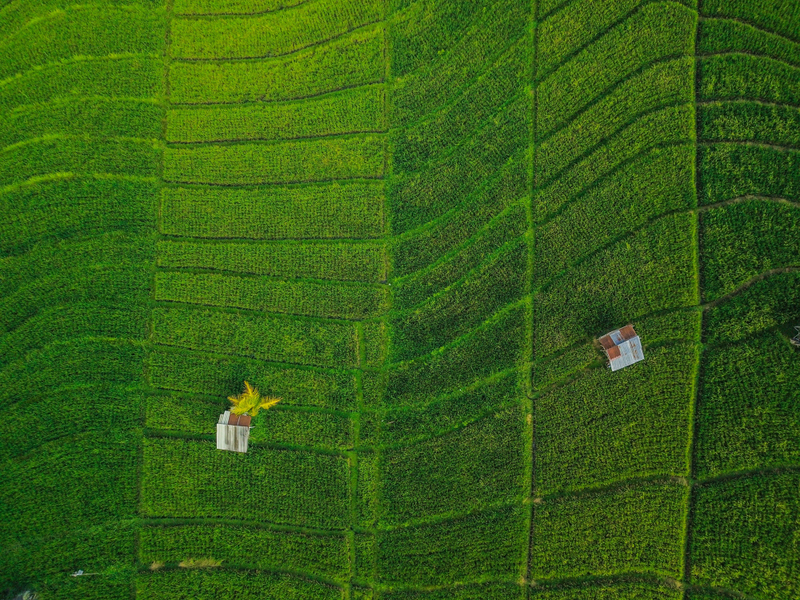 The landscape surrounding Canggu is gorgeously green, which can make a refreshing change from all that ocean! Up for an adventure? 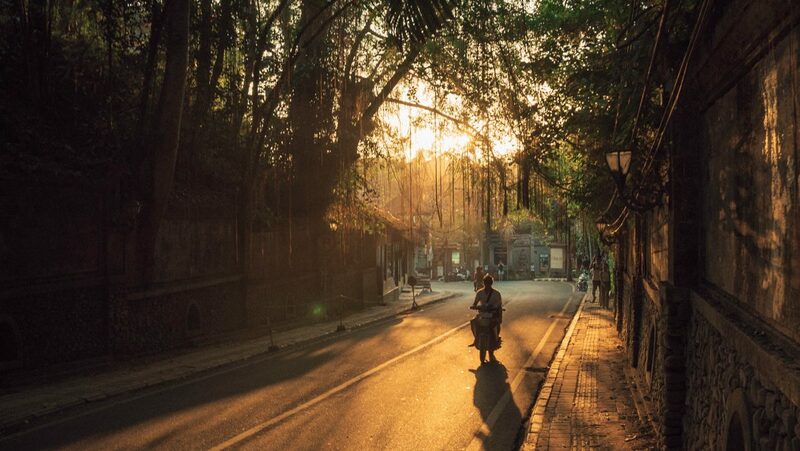 Rent a motorbike and leave the maps at home to explore some of the lush rice fields and forests nearby. This kind of trip can uncover all kinds of hidden gems, like the Rangda Temple a 30-minute drive north of Canggu. This small, eerie temple is easy to miss but is worth checking out if you do manage to find it. Tucked away off the road, the small shrine seems all but forgotten. Step inside and you’ll find a collection of grotesque statuettes of Rangda the demon queen, famed for killing and consuming human infants. Rangda is an important figure in Balinese Hinduism and her temple is a cool-but-creepy place to look around near Canggu. Deus Ex Machina specialize in all things badass and dinner is no exception. Head here for ‘Taco-n-Tatusdays’ for a free tattoo with your taco in Deus’s awesome restaurant. Have your design ready and grab a margarita or a mojito while you wait to get tatted up! For perfect Peruvian food in a kid-friendly environment, check out La Casita in Canggu. Their ceviche is sensational and they have a fun playground set aside for children. If you’re travelling as a friendly, swing by on Wednesday at 4 pm for their free kids’ cooking class! Moana’s deliciously fresh seafood is some of the best in Canggu, and their Polynesian menu is a hit among customers. The beautiful, open-air seating area of this pretty restaurant is a cool and soothing place to relax over a healthy lunch, so drop by while you’re in town! To be near the main shops, bars and restaurants in Canggu, stay on or near Batu Bolong Road. This main strip runs all the way down to the beachfront and is within walking distance of everything you could possibly need! If you came to Canggu for the surf, you’ll want to be within a stone’s throw of the main breaks. Look for a villa near Berawa or Echo Beach in Canggu, so you can wake up and immediately hit the waves! 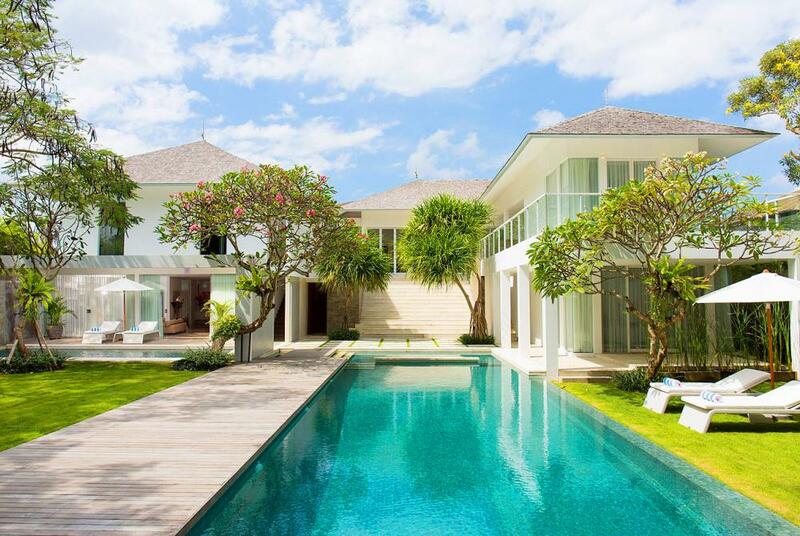 For luxury accommodation in one of the most chilled out parts of Canggu, check out Villa Canggu South. This stunning property is set just 100 m away from the beachfront, so you don’t have to walk far to feel sand between your toes.